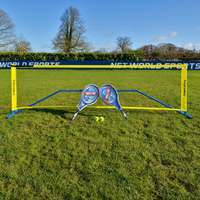 The tennis training game just changed with this Rebounder! The key to development in anything you do, is always seeking new ways and methods designed to put your skill set to the ultimate test. 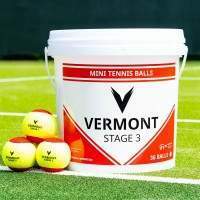 In this instance, tennis is no different. 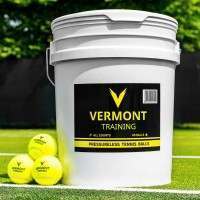 Finding new ways to test your movement, ground strokes and shot selection will only benefit your development and catapult your game into a whole new dimension. 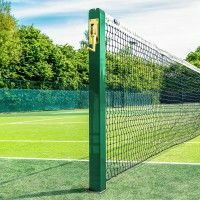 With this freestanding 9ft x 7ft Jumbo Tennis Rebound Net, you’ll have an innovative, high-quality training aid to help you transform your game. The hardest players to beat are the ones who don’t miss. Often given the ‘brick wall’ nickname, these sorts of players are renowned for making sure you always play one more shot. 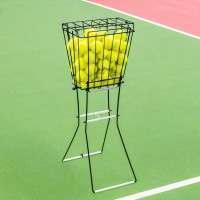 This rebound net is the perfect training aid for those sorts of players as one thing’s for sure – if you play a shot, it’s certainly coming back! 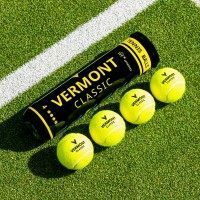 Once you’ve mastered the constantly returning ball you can up the difficulty even more via the 4 adjustable angle options which will affect the trajectory of the retuning ball. The frame is designed for indoor and outdoor use as it has been manufactured from supremely strong steel. 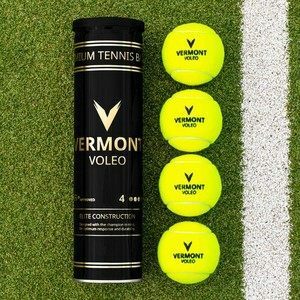 The net, has been expertly crafted to ensure a consistent bounce is always achieved. 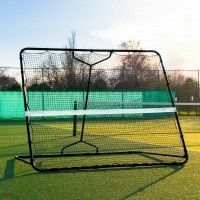 The 30ply twisted polyethylene 25mm mesh net not only provides excellent bounce but combined with the steel frame ensures that this rebounder net is extremely long-lasting. 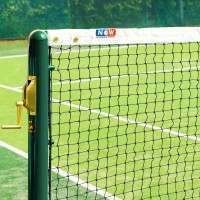 The net attaches to the frame via elasticated ties to ensure it stays as taut as possible. Also included is a net tape to represent the normal height of a tennis net. 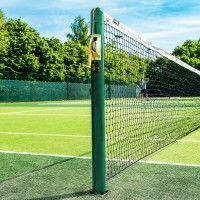 Not just limited to tennis players, this tennis rebounder is also an excellent garden addition, designed to be enjoyed by all ages and abilities. 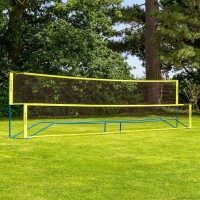 It’s frame is remarkably light in weight and exceptionally easy to move so you’ll not have to worry about one area of your garden getting worn out, you can simply move to it to another location! 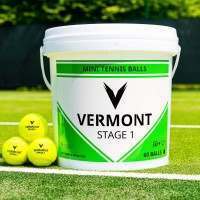 Large and excellent for children and adults to practice. 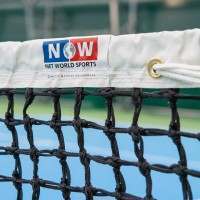 Can this be used for other sports such as cricket?